If there was a bright side to me being sick, it is that it clears my schedule. Going to my company holiday party? Not anymore. Meeting friends out for lunch? I don’t think so. Going to get a couple extra hours of work in at the office? Not so much. 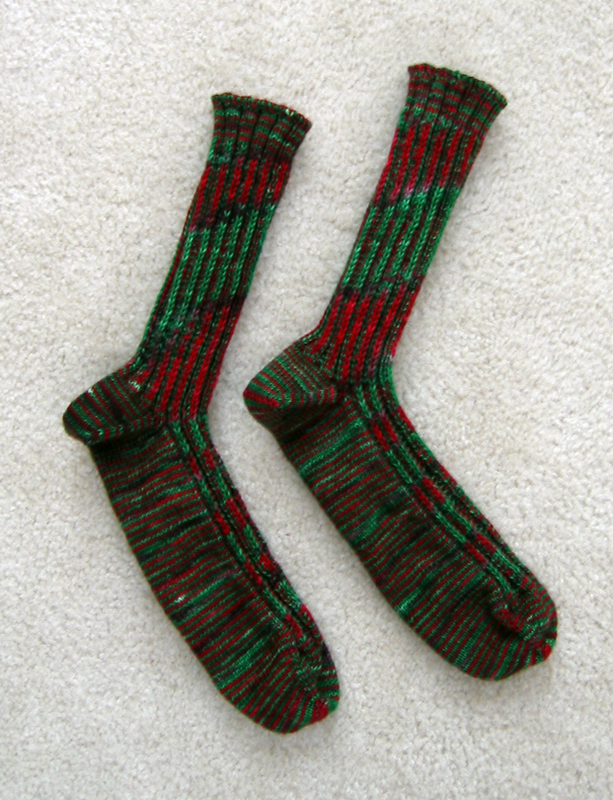 These are my slip stitch rib socks using “Rockin’ Around the Christmas Tree” from Sheila. I did an afterthought heel in them to try to not interrupt the patterning of the yarn. It does amaze me, though, how the patterning still changed because of how the yarn got eaten up at a faster rate in the leg. The other thing that got done? 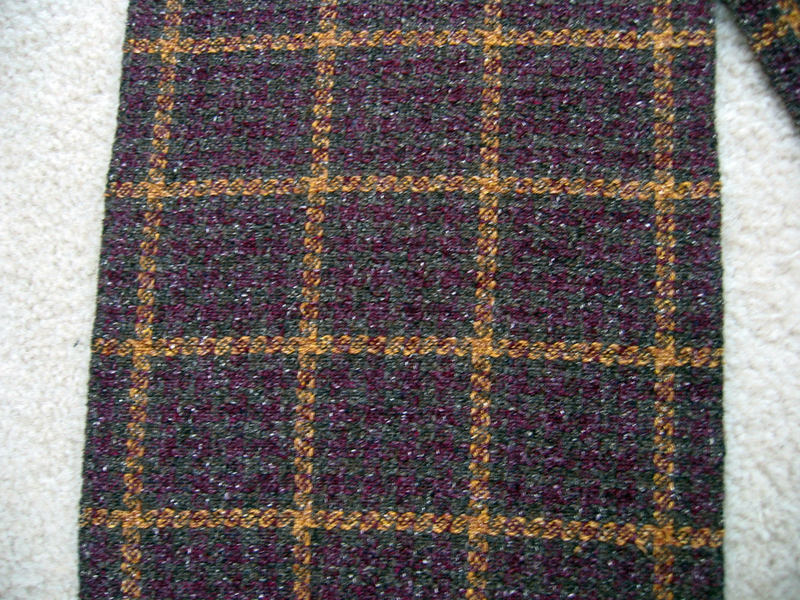 This fabric feels so dramatically different after being fulled. I have never experienced this dramatic of a change before. It was like crinkly paper before going into the water, and soft cotton coming out. Amazing. I am pretty happy with the results. Off to Roseann it goes. 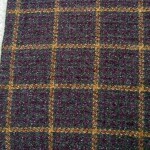 This entry was posted in After, Charity, Clothing, Knitting, Weaving by textillian. Bookmark the permalink. Sorry that yo weren’t feeling well. I’ve been hoping for a blizzard – the kind that keeps you home for 3-4 days, just so I can get some knitting done! The scarf is lovely, Roseann’s a lucky one! I hope you are feeling better. Are you too sick to knit? I sure hope not. 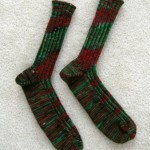 Great looking rib stitch socks, I have never done the afterthought heel. 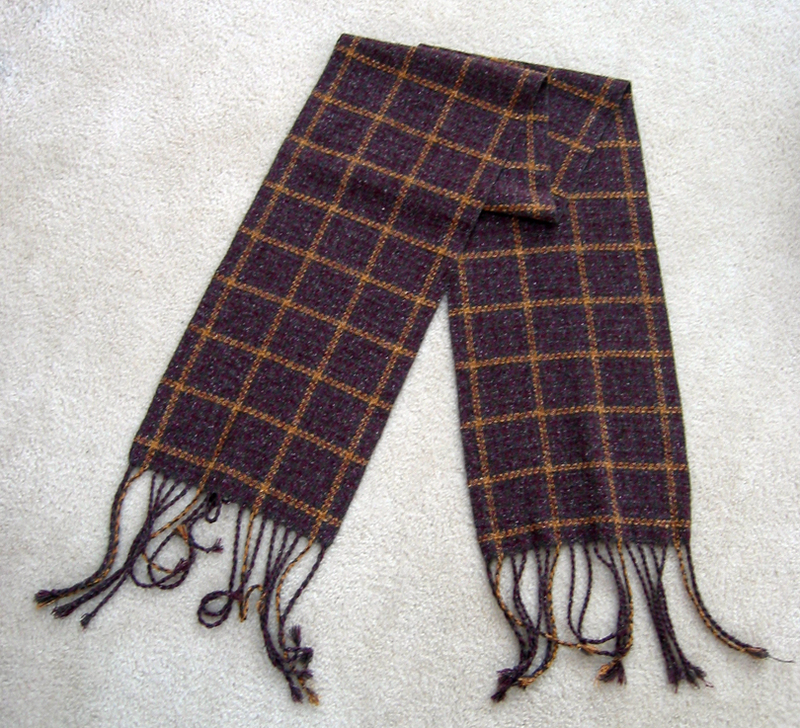 Thank you so much for the beautiful scarf, I am truly amazed at your weaving talents and I will be sure to blog all about it. Another sock club for me to join, I mean look at, I may need a 12 step program. I just love getting unknown sock yarn in the mail. I do count the rows on each of my socks, as you had asked before on my blog, I should give your row counter trick a try. I’ve been waiting to find out about that scarf! It looks wonderful; if only we could all touch and feel. I hope you got some good rest in too, and that you feel back to normal soon. Patrick, I just realized that I never officially thanked you for that fabulous scarf I won in your Race for the Cure sponsors’ lottery. 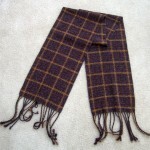 I never win anything and was so excited that I won your fabulous woven scarf. I’ve worn it several times and when asked if I made it, I have not used the usual “No, but I could have…” because no mtter what, I never, ever could have created something as wonderful. Thanks you so much, Patrick, I will always think of you whenever I wear it and received those compliments. ou rock, m man!